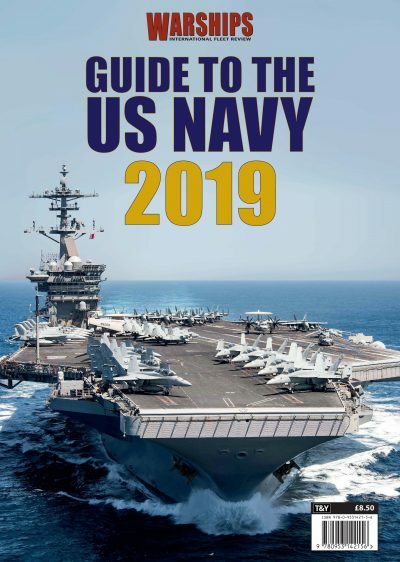 Warships IFR has produced a special publication – Guide to the US Navy 2019 – where such topics will be analysed by a top team of writers in this exciting full colour 100-page publication. Featuring high impact imagery, it will include studies of the constituent parts of America’s navy, not least profiles of major ship types and a look at other key units. Available at all good newsagents from Friday 19th October 2018 in the UK and on Sale in the USA from (approx) Friday 23rd November 2018, as well as other countries. Click here for UK Stockists list and here for USA stockists.